Online reviews. Love ’em or hate ’em, we believe they’re here to stay. A recent study conducted by Softwareadvice.com suggests online reviews could actually help you make more money. 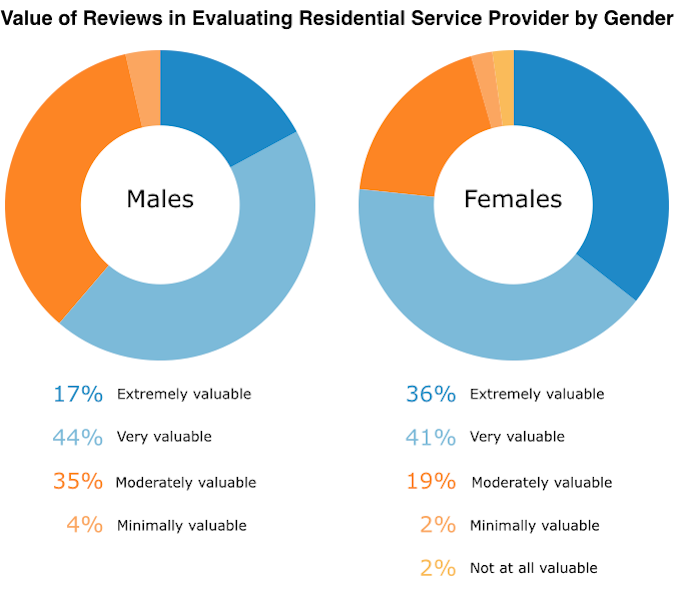 The study asked 1,239 random adults in the United States about how online reviews influence their selection process for residential services. Even though the study was focused on residential businesses like plumbing, roofing, or interior decorating; these findings point toward valuable marketing tips that can be applied to almost any appointment-based business. Read on for the full stats and action steps you can take to improve your own small business. 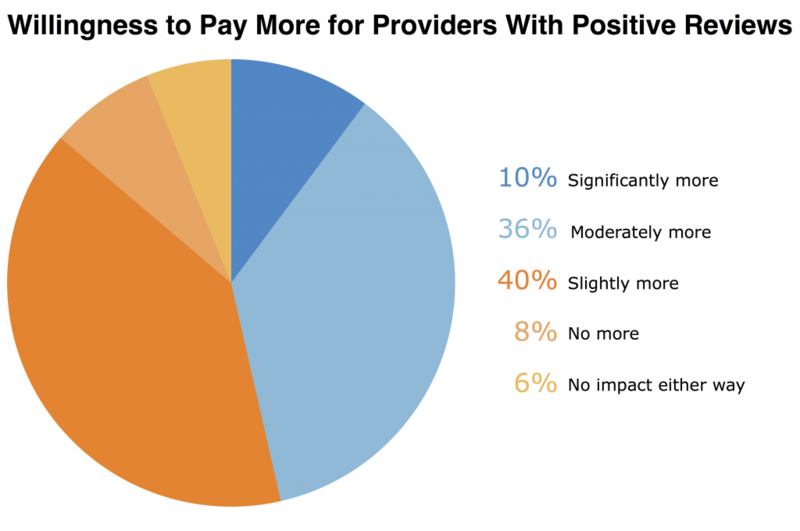 A whopping 86% of respondents would pay more for a service provider with higher ratings and reviews. 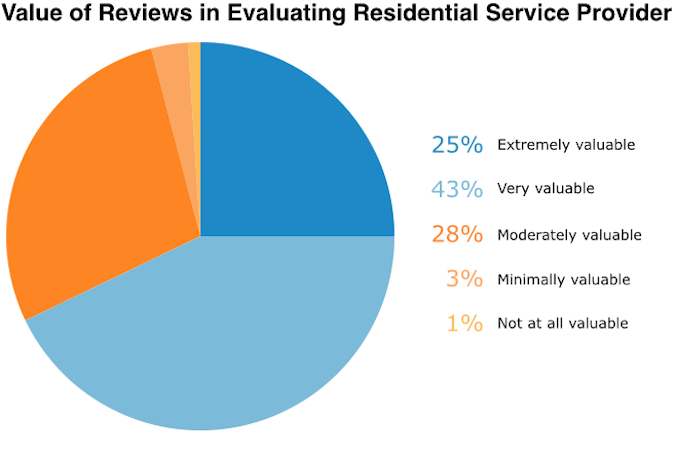 A majority of respondents (68%) say they find online reviews to be “extremely” or “very valuable” when evaluating residential service providers. 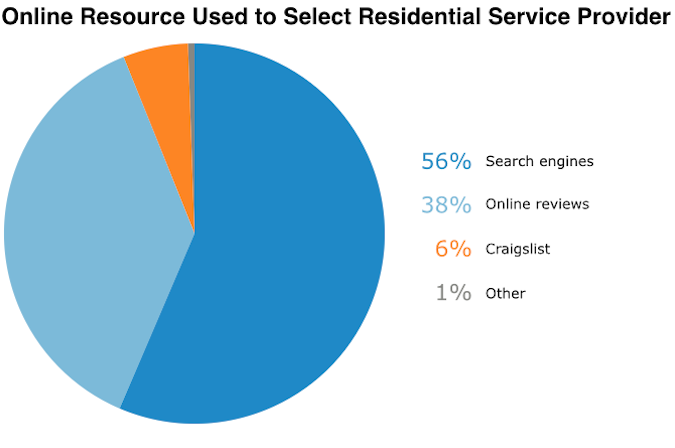 56% of respondents say they used online resources to find their most recent service provider. 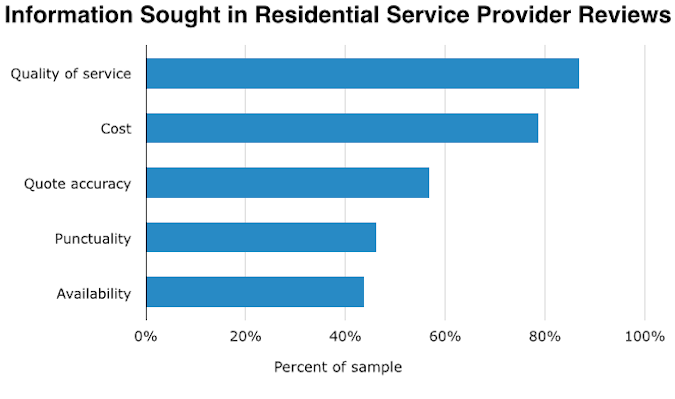 The majority (74%) of respondents consult Yelp when selecting a service provider. That’s 86% of people willing to pay more! Is my business currently being reviewed online anywhere? Am I asking my customers to write online reviews? Is someone on my team monitoring my reviews? I have a lot of positive reviews. Is it time to increase my prices? 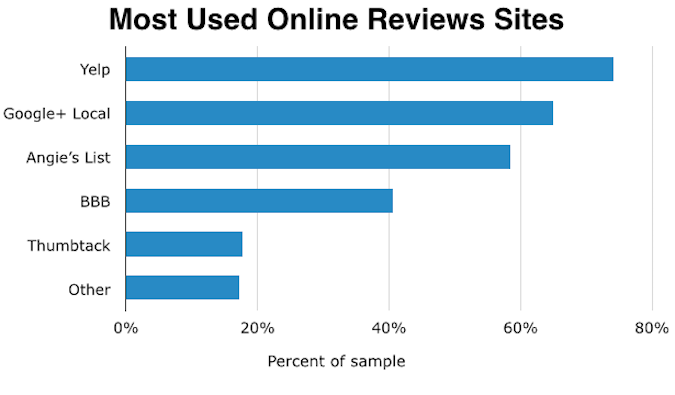 In the study, 96% found online reviews to be at least moderately valuable. To further stress the importance of online reviews, another recent study from Dimensional research found that the buying decisions of 90% of respondents who read online reviews were influenced by positive reviews, while 86% were influenced by negative reviews. The top concern was quality of service, followed closely by cost. In business, many believe that customers tend to shop around to find the cheapest option possible, but quality seems to be more important. If you put yourself in your customer’s shoes, it makes logical sense. For example, almost any salon in your city offers a $40 haircut, but which one provides the best experience? The best results? Not surprisingly, Yelp was the #1 review site used. This is helpful to focus how much time and energy to devote as a small business owner. Don’t worry about asking for reviews on multiple sites, just focus on building up reviews in one place: Yelp. Setting up a Google profile is valuable too, but try to focus on Yelp, since you probably are short on time as it is. Fill in your Google Business profile – appears in google search, maps, etc. She also encourages businesses to utilize Yelp Deals, which are essentially pre-paid coupons that businesses can send to encourage customers to choose them over competitors. Yelp collects payment from the purchaser, and retains 30 percent of the purchase. Remmers says these are great ways to attract first-time customers as well as customers who are ready to make a decision on a provider, since they can do so directly from a Yelp business page. Need to figure something out? Just Google it. That’s how our brains are wired these days. Getting your business to page 1 of Google is NOT an easy task, but thankfully online reviews can help build your presence in online search. Chances are, your prospective customer is already using search engines to find out more about you. They’re searching for your website, your Yelp page, and everything else they can find. Improving these profiles is important part of acquiring new customers. Check each site and update any missing information about your business. Ex: business hours, link to your website, link to your Yelp, services descriptions, etc. Shameless self promotion: BookedIN’s online scheduling page is optimized for search, so setting up an account will help you appear in local search results. Women put more value in online reviews than men. This is interesting if your business caters to one gender or the other. For example, if you run a nail salon or waxing salon, building an online review presence might be more important. But that’s not to say men aren’t reading reviews about your bikini waxing services. Let us know what you think in the comments, or if you want to chat with us contact our experts any time, we love hearing from you.